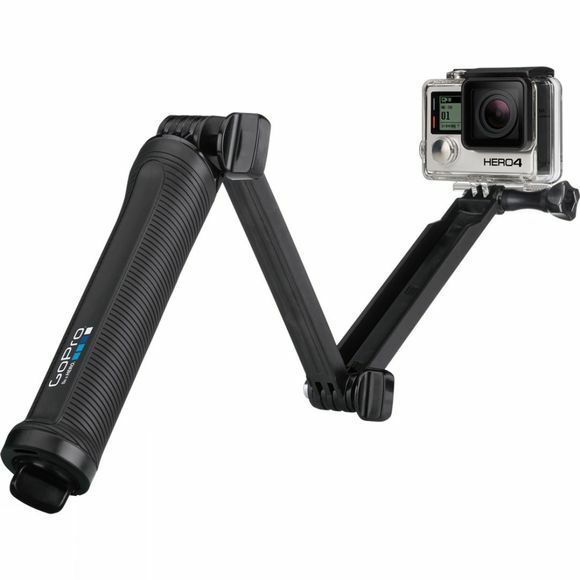 The GoPro 3-Way Mount can be used as a camera grip, an extension arm or as a tripod. It is perfect for capturing the best selfies and point-of-view footage as well as static tripod shots and more. The fold in the arm is perfect for making sure it doesn't appear in your selfie and the removable tripod is lightweight and conveniently stores inside the handle. The whole thing can be used in and out of the water making this the perfect accessory for the most adventurous GoPro artist.